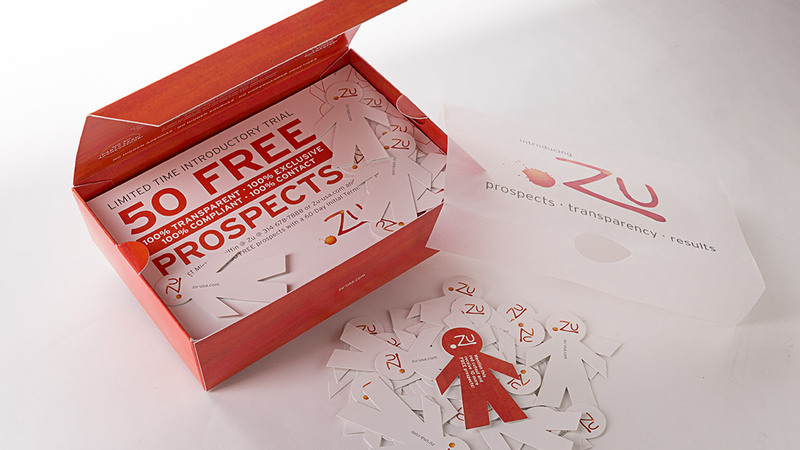 Zu 3-D Direct-mail Piece - Phoenix Creative Co. 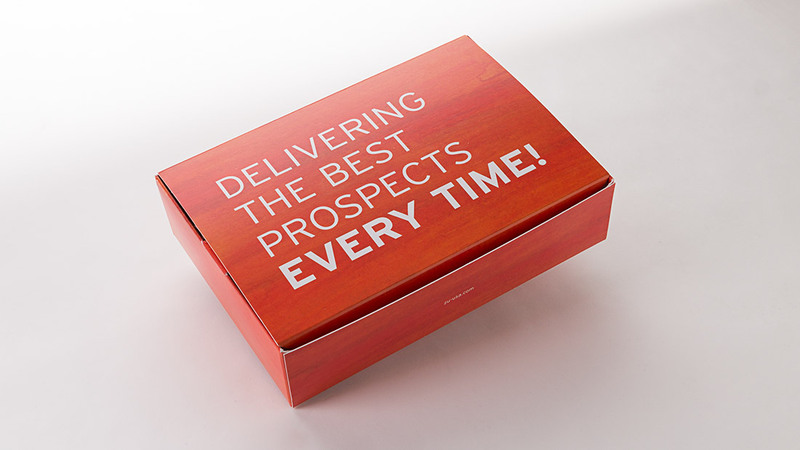 In January 2013, a unique online prospect generation company was launched, offering never-before-seen guarantees (high value over high volume; quality over quantity) to clients in the post-secondary education and business-to-consumer verticals. From innovation through development and actualization, Phoenix was responsible for all aspects of the new company’s brand ideation, including its name, logo design, brand positioning, and promotional messaging. Phoenix also conceived and produced a distinct and innovative 3-D direct-mail piece as part of Zu, Inc.’s introductory launch program.